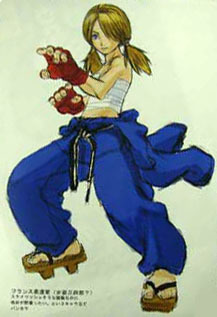 The Capcom development blog revealed an early design for Abel was far from what we ended up with: a teen Judo girl with a "yanki" look. LIVE Arcade "Games on Demand" release. Needless to say this would have been completely awesome. 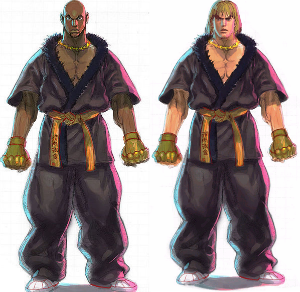 In Street Fighter 4, Rufus was originally designed as African-American with a fur-trimmed gi, gold necklace, and sneakers. 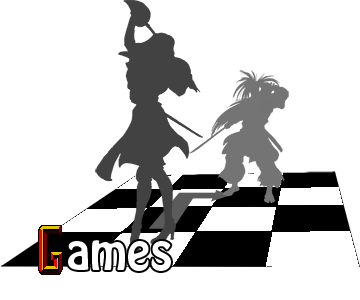 The concept was ultimately scrapped in favor of the yellow-clad rotund fighter we know today. The attire was later used as Ken's alternate outfit. When Charlie was first introduced, he was known by Nash in Japan, and Charlie in the U.S. To reconcile his two names and to avoid confusion, fans began touting Nash as his surname. This carried over into UDON's Street Fighter comics. 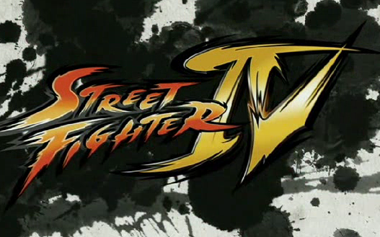 However, it was never made officially canon until the 2009 home release of Street Fighter 4, where the name of Nash, Charlie can be clearly seen on his dogtags in Guile's intro. 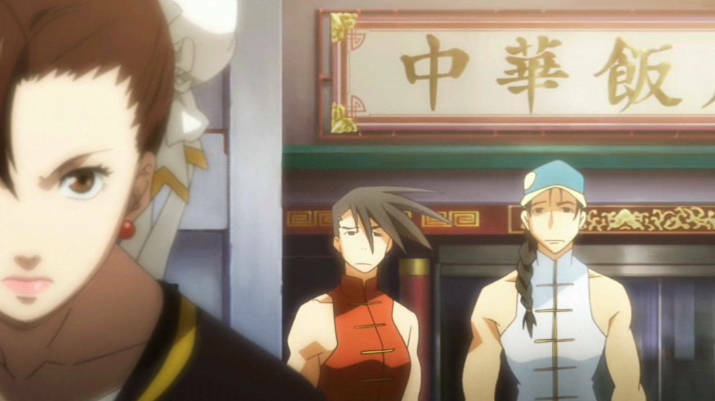 Although they did not appear in 3D until Super Street Fighter IV Arcade Edition, Yun & Yang made a small appearance in Chun Li's intro cutscene in vanilla Street Fighter IV.